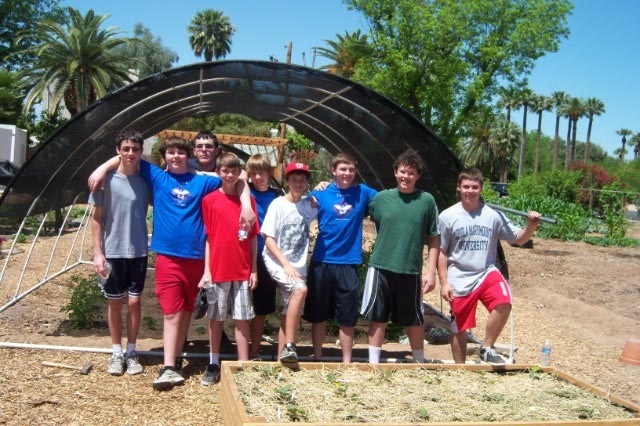 Once again the Boys Scouts step up and make a difference. 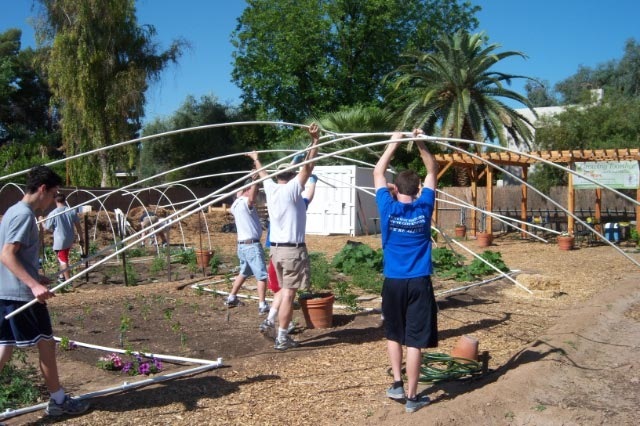 Alex Wisthoff and scouts from Troop 340 built three amazing hoop houses for our beds and brought Alex one step closer to becoming an Eagle Scout. 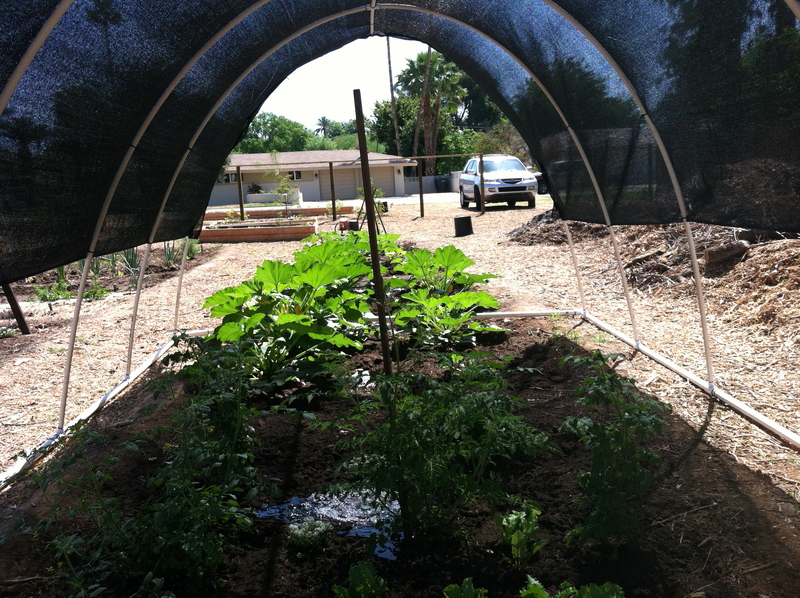 Now our tomato and squash plants will be protected from the dreadful summer heat and will allow for an extended harvest. 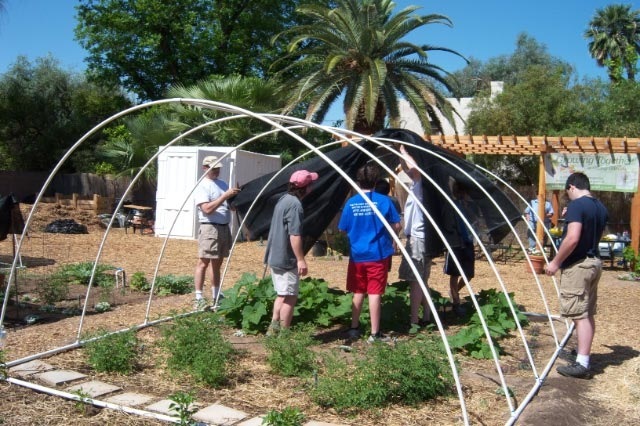 Alex’s project included designing the hoop houses, soliciting local businesses to donate all the supplies and organizing his Troop to get the job done. It took a lot of time, planning and great execution on Alex’s part. 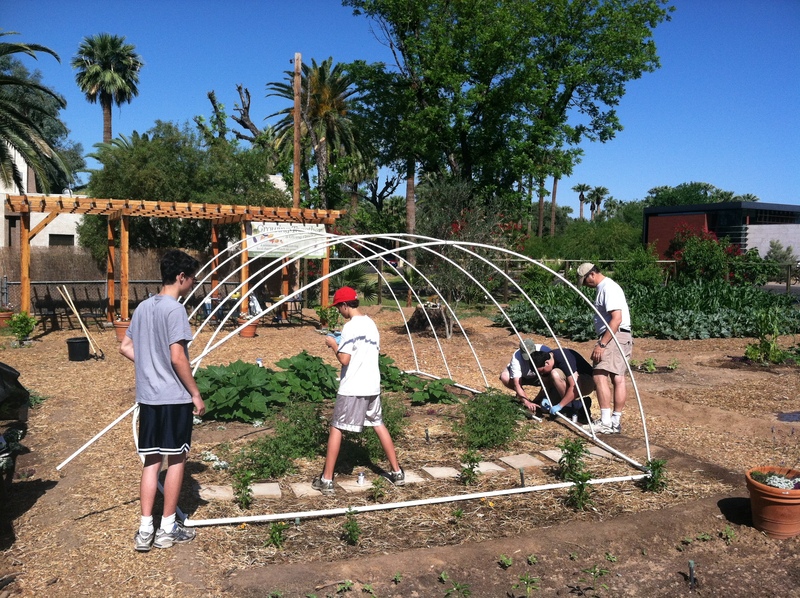 Alex selected our garden to be the beneficiary of his good work and we are extremely grateful. Thank you Alex and Troop 340. 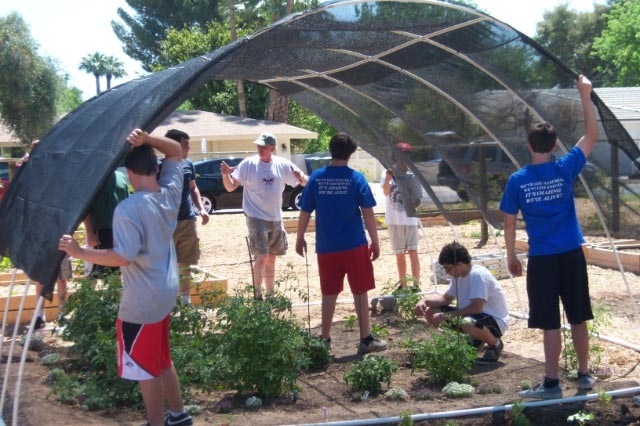 Projects like this that benefit those that have legitimate needs are the core of what positives in society can be . . . every turn of the soil connects people in ways that would not be possible otherwise. Soaring from above . . . the eagle keeps a keen eye on all things important and significant. So true, Chris . . . from one eagle to another.